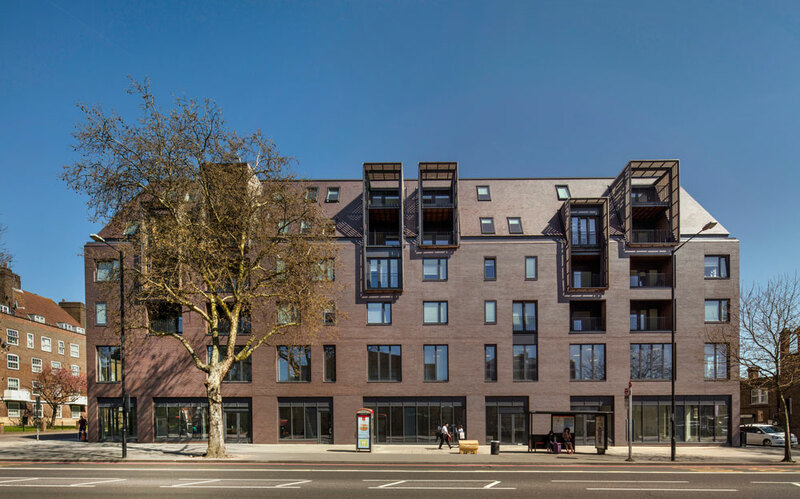 We have transformed a previously unattractive commercial site into a vibrant new mixed-use scheme in Stamford Hill. 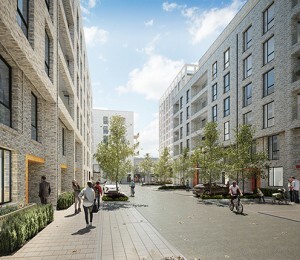 The carefully considered new buildings designed for Filey Group and Kingsbury, enhance the distinctive character of Stoke Newington and Stamford Hill through their contemporary interpretation of existing typologies, creating a high-quality living environment which attracts new residents to the area encouraged by the range of housing typologies and tenures provided. A steeply pitched roof references the adjacent 1930’s mansion blocks and allows further space for homes. Double and triple dormer windows also provide enclosure for balconies. 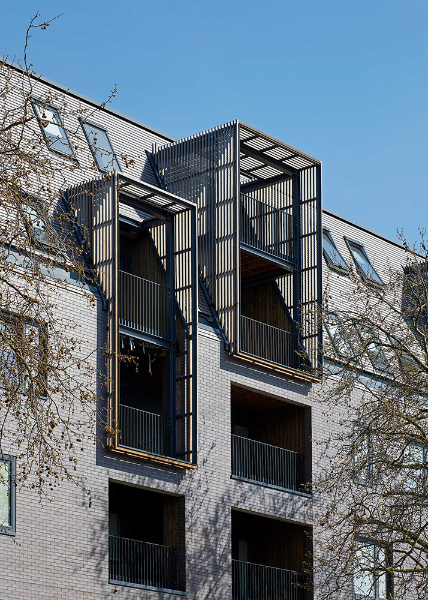 Smaller four storey blocks to the north and south of the site are sensitively designed to take account of the neighbouring Victorian terraces, with a combination of brick and timber clad elevations. 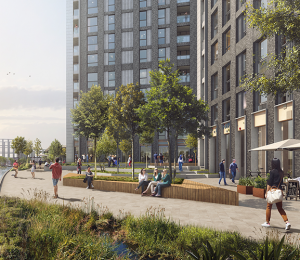 The development provides 68 new homes, retail and office accommodation with 95% of homes being dual aspect. Those homes which are single aspect face south onto a private courtyard. Dwelling sizes range from one-bedroom apartments to four bedroom duplexes with a mix of affordable rent, shared ownership and private sale. 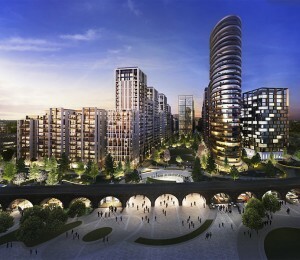 New and existing residents of the area will benefit from the more appropriate use of the site. 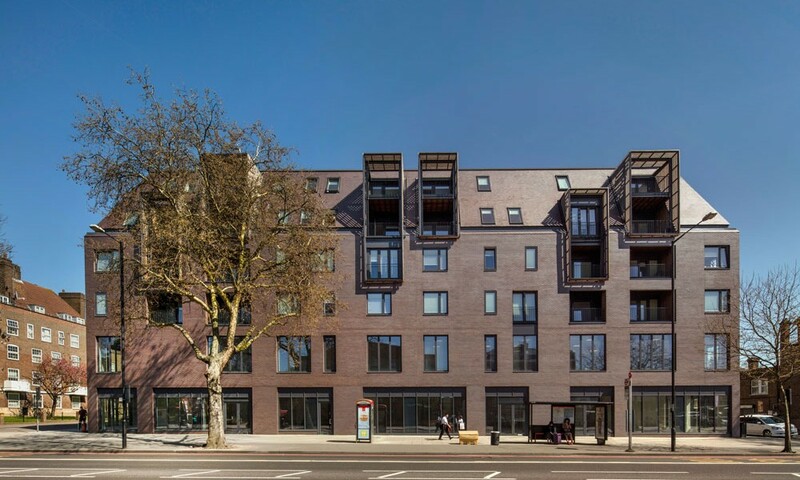 The restored street frontage ties the scheme into the Victorian context to the south and extends the retail offer of Stamford Hill further north with smaller, more flexible units.